Law-enforcement bodies protect life and health of citizens within the ATO, which is carried out against terrorists, diversionists and other criminals, who kill, torture and kidnap our citizens, stressed Turchynov. 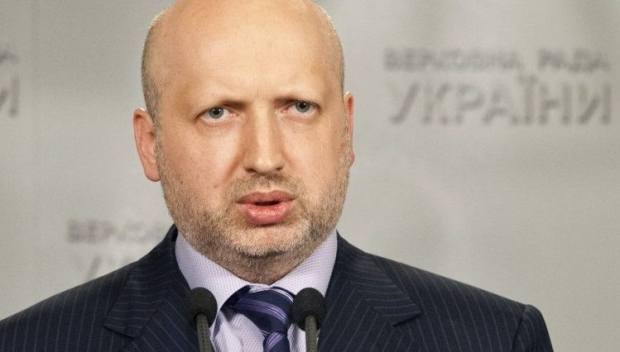 Acting President of Ukraine, Speaker of the Verkhovna Rada of Ukraine Oleksandr Turchynov states that there is can not be dialogue with armed criminals, who kill people. The press service of the Verkhovna Rada of Ukraine disclosed this to UNIAN. According to the words of Turchynov, a goal of authorities is to ensure stability and economic development of democratic independent Ukraine, “peace, calmness and security of Ukrainians”. “We should protect the territorial integrity of the country and free temporarily occupied territories”, - noted the head of the parliament.